Berlin: A German weekly has made a stunning claim that thousands of members of terrorist outfit ‘Taliban’ have entered Germany along with the influx of Afghanistani refugees in the past two years. The claim is based on the information received from the German agencies and investigations of some Afghan refugees is underway. 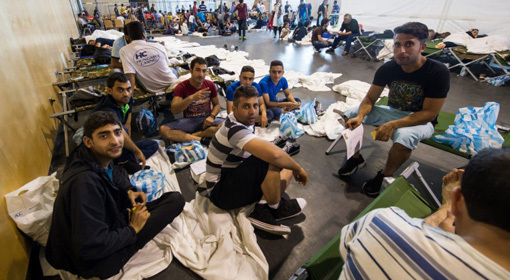 In November last year, Germany had decided to deport about twelve thousand Afghan refugees on grounds of security. 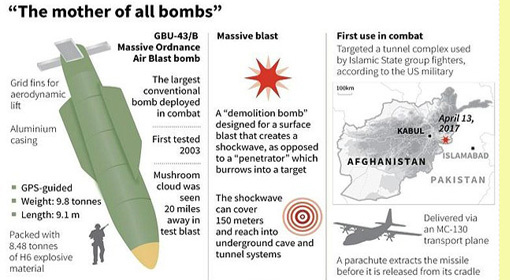 Washington/Kabul: The US shocked the whole world by experimenting with the 10,000 kg bomb, the ‘GBU-43/B Massive Ordinance Air blast Bomb (MOAB)’ aka ‘Mother of all Bombs’ on Afghanistan. The bomb was dropped near the Pakistan-Afghanistan border and according to the released information, 36 terrorists were killed due to it. But the tremors of this bomb were also felt in Pakistan along with Afghanistan. The US President Donald Trump praised the US military for using the bomb. Rome: European Analysts have forecasted that the gold rates would surge to about 1,350 dollars by the end of the year due to geopolitical tensions and inflation. 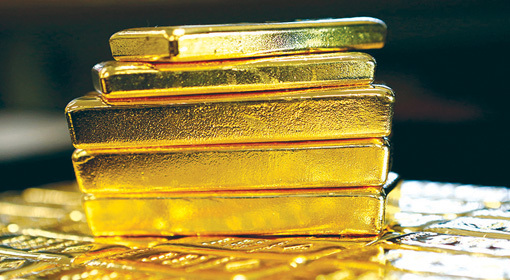 Analysts have drawn attention to the fact that the gold prices have risen by a staggering 12 percent within a period of four months from the start of the year. Two days ago, the gold rate per ounce (28.34 gram) was hiked to 1,283 dollars. 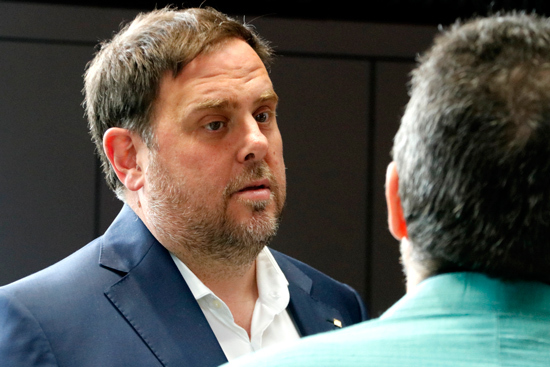 Madrid: If the Spanish Government tries to obstruct or suppress the referendum on Catalonia’s independence, then Catalonia’s regional government would unilaterally declare independence, warned Catalan Vice President. In January this year, the Catalan regional parliament had declared to hold a referendum once again. 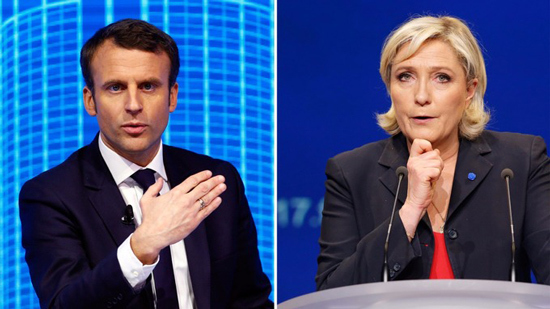 Accordingly, a referendum will be held prior to September 2017. 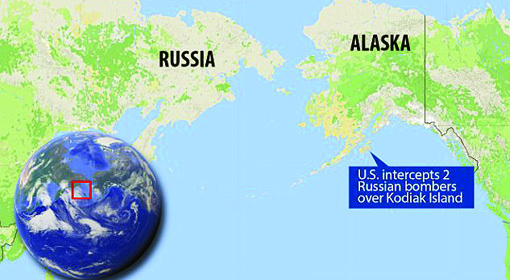 Washington : Just two days back, two of the Russian bomber planes made a direct approach near the border of Alaska. The US Air Force however, urgently deployed fighter planes and planes equipped with ‘AWAC’ technology to chase away the Russian bombers. This incident created tension in the region for some time, as per information from the US sources. As informed by the US military, ‘TU-95’ bomber planes from the Russian Air Force were hovering over on Monday near the region of Alaska. 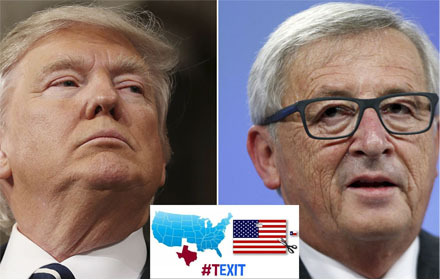 Malta : If the US President Donald Trump does not stop giving his approval for Brexit and encouraging other European nations to leave the Union, then we too will support the USA partition, signaled the EU Chief, Jean-Claude Juncker. He will be visiting the US this month and such an indication given on this background, would prove to be interesting in the future. After the Brexit decision, talks about creating independent states of California and Texas from USA where gaining grounds in the EU. 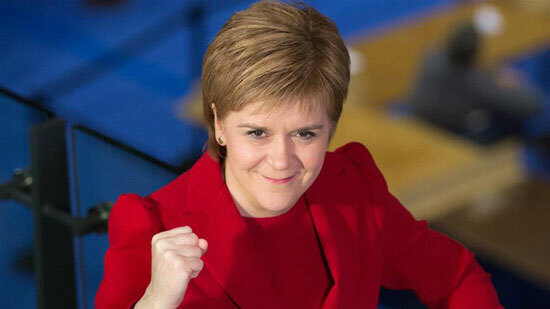 London : “Before the conclusion of the UK’s Brexit negotiations with the European Union, Scotland must be given a fair chance to decide its fate,” said ‘Nicola Sturgeon’, the Scottish First Minister, demanding a new referendum. Sturgeon has called for a referendum to be held at the end of 2018 or the beginning of 2019. The UK Parliament will announce the ultimate verdict on this matter. Sturgeon’s proposition seems to have created new challenges and insecurities for the Brexit deal. Budapest. Date: The outpour of refugees is turning the European nations into a battlefield, and has also put Europe’s freedom at stake, said Viktor Orbán, the Prime Minister of Hungary. 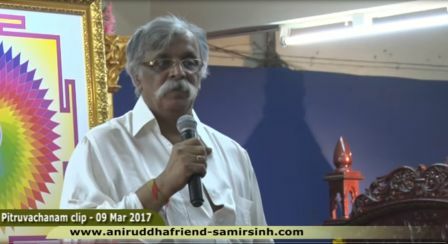 He has also claimed that the clauses held by the ‘Soros University’ and the other international NGO are secondary compared to the upsurge of the refugees. A few days back, the EU had warned Hungary on the matter of refugees and the ‘Soros University’. 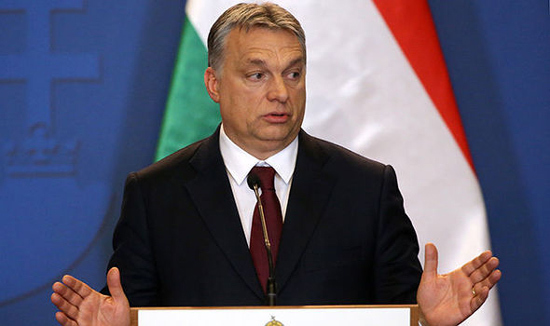 Though Prime Minister Orbán has declared that Hungary will not retreat on both the points. 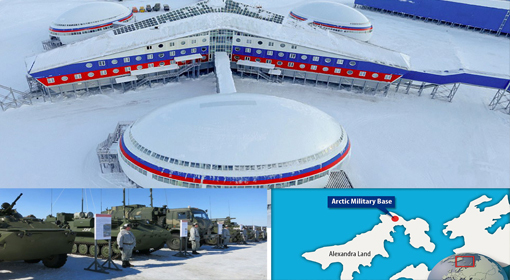 Moscow: Russia has declared of its ‘Trefoil’ military base in the Arctic region to have become operational and has invited the foreign media for a visit. Russia’s invitation to foreign media is claimed to be an exhibit of its military power. Only in the last month, Russia had organised an international conference for the development of the ‘Arctic’ region. It appears that increase in Russia’s growing activities in the Arctic region are clear indications of its efforts to gain supremacy over the region.